We can offer you our best and most professional carpet cleaner Northampton (but also Corby, Daventry, Milton Keynes and other cities and towns within the suburbs of Northampton) to get rid of all your problems with dusty and stain carpets and all other upholstery. We are primarily concerned with carpet cleaning services within Northampton, but we are also providing our service in towns and cities such as Corby, Milton Keynes, Wellingborough, Brixworth, Kettering, Rushden, Towcester, Rugby and Daventry. Our service provides both domestic and commercial carpet and upholstery cleaning. We are, therefore, available as professional cleaners of bedrooms, kitchens, living rooms, flats, but also offices, toilets, interior windows and lots of others. We provide emptying the rubbish bins as well. The greatest emphasis is placed on accuracy and the use of chemicals which 100% safe and effective. Thanks to the great experience we can bring even the dirtiest carpet to almost brand new state. During a free valuation we check the material type and level of contamination. Then we develop a recovery plan for the carpet. We use only the best equipment of companies such PROCHEM and KARCHER which guarantees completion of the contract at a very high level. 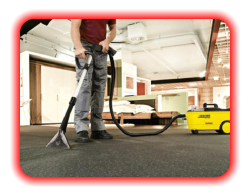 Our professional carpet cleaner Northampton offer also the renovation of mattresses and sofas which cleaning of is treated with great importance. Our stain removers are free of toxins and harmful substances and are completely safe for you, your family and pets.We give free quote not only in Northampton and our prices do not include any hidden charges. Fast carpet drying time between 2 to 4 hours will alow you to return to normal activities in no time. Free help if need be any moving furniture. We will make your carpet go back to its former glory and dust mites will be eliminated.